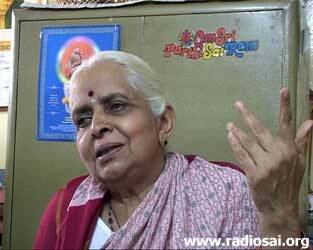 This is the second part of a transcript of the conversation between Mrs. Padma Kasturi (PK), daughter of Sri N Kasturi, Swami’s biographer and Ms. Rajeshwari Patel (RP), a former student and faculty member in the Anantapur campus of Sathya Sai University aired on Radio Sai a few weeks ago. To read the first part again, click here. RP: Okay. Let’s first finish talking about your father. 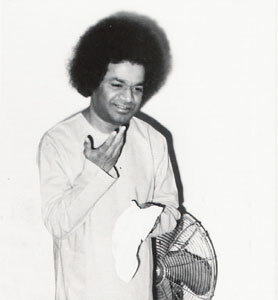 Then we will go to you – because I am sure you have a lot of things to share with the listeners of Radio Sai! 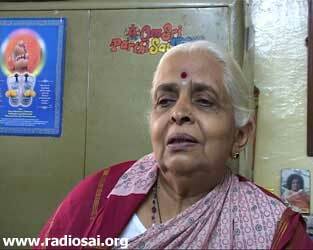 What were the last years of Prof. Kasturi like? RP: We know that the intimacy was growing towards the end; no doubt! But he himself must have said certain things about those last few years – from ’85 on towards ’87? Did he ever talk about how the University was formed? There were so many vast changes that were taking place! Did he have any intimations of his end – that he would be missing all this? PK: No. He never missed Him because he would go to see Swami everyday! So he never missed that intimacy. RP: No, I mean the remaining part of whatever we have seen now in the last 10-15 years? PK: He was very happy with all that was going on and how Swami’s glories were spreading, and His University, etc. He was getting old and when he saw so many youngsters coming, he was very happy! RP: That is what I was getting at – it is so beautiful that he saw that the vision of Swami was now being passed on and another generation would take over. RP: Yes! He had – no doubt about that! What else about those last years? He was ailing you said – tell us a little bit about that. PK: He had a little back ache and he used to go to Swami by wheel-chair. But he couldn’t go upstairs. PK: His backache started in ’85 and he passed away in ’87. Swami had come to our house to see him twice. RP: But he continued to do the Sanathana Sarathi (the ashram monthly)? RP: So he was working until the end? PK: Yes. He passed away on August 14 and even though he couldn’t write that month, but he would dictate and my son would write and help him out and also take care of him. RP: Oh good. So he did Swami’s work till the last moment! Do you have any mementos of that period? RP: He was worrying about Swami even though he himself was not well! That whole night he was crying: “Oh! This is my fate! 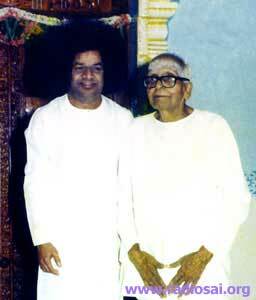 I can’t go to see Swami!” Then he wrote a letter to Swami and Swami sent a reply: “Kasturi, accept My Blessings. Don’t have any fear! Swami is with you and around you. Be courageous, think of Him! Give up other thoughts! The body is a water bubble; on its account do not feel sad. Spend your time in thinking of God. Yours, Baba.” - Dated April, 1987 – from Brindavan. Then, two months later, he wrote another letter to Swami - in June ’87 because he didn’t have Darshan for so many months, so the agony of wanting to see Him was there. RP: Did he write to Swami himself? RP: So this second letter that He sent in June ’87 is much bigger than the letter in April – which seems quite normal. But apparently Bhagavan has written every word separately and much bigger letters. PK: Yes, because he had become very weak by that time. RP: And Bhagavan wanted him to be able to read it himself. PK: Yes. Before my father passed away on August 14, he was in the hospital for a week. And when anybody would pass by our house, he would think it was Swami! RP: Swami was constantly in his thoughts! RP: So Swami came from Brindavan a week before he passed away? PK: No. Swami came in June! PK: Yes. Swami came to see him the day he was admitted to the hospital and made him drink a glass full of water and told him to just think of God and not to worry about anything. He said: “Ask the Doctors not to allow any visitors to come and disturb him.” He didn’t want anyone to talk to him - the only two persons there were me and my son. RP: Because he wanted him to follow Swami’s command – to think constantly only of Him! RP: His whole life was totally immersed in thoughts of just Swami only! PK: Yes. I think he had spiritually realized it. My son was disturbed as to what he was saying and why he was talking like this. So I went to ask him and he said the same thing to me too! RP: So in those few months of ailment, Swami had uplifted his consciousness to that level! After that, he didn’t say anything and I think inwardly he was thinking about Swami – only Swami! PK: So since the day Swami came to the hospital, no visitors were allowed and the day he passed away, he was a little breathless. He didn’t reply to anything, he didn’t show any response to my son’s calling either – even though he knew his voice and was there on that day taking care of him. 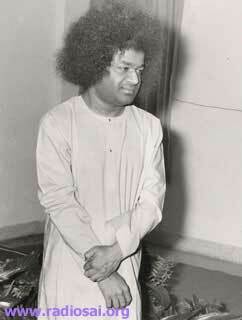 Then Dr. Alreja went and told Swami that he is feeling breathless and Swami said: “He has served Me for forty years! Freedom has come!” Then He told Dr. Alreja: “I will come to the hospital to see him, so don’t give him anything” - they were giving him glucose in a very small dose; about four drops a minute or so. About 11:30 or so Swami had gone to the College to see some drama practice and then he came to the hospital immediately. We were all there. The breathlessness was still there and suddenly there was some agony in Swami’s face as He came in calling: “Kasturi! Kasturi!” Immediately my father opened his eyes! RP: He was not responding to your calls? PK: No. Only to Swami! I think he was waiting for that call! RP: Oh! And when Swami came, he opened his eyes immediately! PK: Yes, immediately! Then he was trying to fold his hands to do namaskaram and Swami touched both his hands and created vibhuti and applied it on his forehead and He gave me some and told me to mix it with some water. Then He asked me if he took any food since morning? I said: “No Swami. I am just giving him some drops of coconut water because his lips and mouth are dry.” Then He was just standing there for 2-3 minutes. RP: What was the expression on Swami’s face? RP: Definitely. He was a world-famous teacher; so it had to be grand! PK: And He asked all the Doctors and the nurses to go to the room and to repeat ‘Aum Shri Sai Ram’ and He asked the Doctor to inform Him when it was all over. We were all repeating ‘Aum Shri Sai Ram’ till 12:30. RP: And then there was the grand procession! PK: Yes, on the next day. It was India’s Independence Day too. It was a grand procession. Swami had asked the canteen to be closed and sent all the students to the procession! There was Veda recitation and bhajans during cremation. After cremation, Karunyananda (a monk very close to Swami those days) came and told me that there was this kapalamoksha – the soul escapes the brahmanantra – so it was not a usual death! RP: So the skull had split and the soul had left the body through the skull. RP: And that is a sign of someone who has attained total mergence with God! PK: Yes. 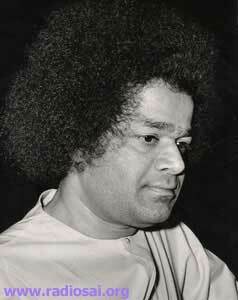 So in the evening when I was sitting in the line, Swami told me: “He has attained what he has got to attain! So there is no need to do any karma or anything for him! RP: No rituals - because we do the rituals to pray for the soul's mergence; and in this case it was not needed. So Swami didn’t want any rituals to be done.